We’ve all seen the statistics indicating there will be millions of unfilled STEM jobs due to an unprepared workforce. These schools aim to STEM that tide. 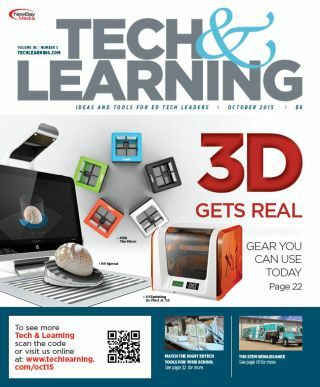 3D printers are becoming increasingly popular in education as schools build fab labs, makerspaces, and other creative areas. Choosing a 3D printer for your learning space can be a daunting task. This guide can help. Teaching students to code fits the models of good pedagogy that include hands-on, project-based, constructivist, experiential, and discovery learning. Gwen Solomon explores the past, present, and future of this skill. NAVIGATING THE DIGITAL SCHOOL: HOW DO YOU FIND THE RIGHT TOOL FOR YOUR SCHOOL NEEDS? purchase. This article offers tips and questions to ask when selecting resources for your school. How are blended learning models achieving success around the country? Below are snapshots from schools that are making blended work. T&l Reader Survey Is Your School Planning To Buy A 3d Printer?